The Bottom Line - There are worse modules based on the old AD&D Against the Giant PnP modules, but this series definitely deserves better. Take note that the module being reviewed here is actually 2 modules, G1 and G2. G1 and G2 are named to represent the corresponding AD&D modules that they are based on. Since 3 modules comprised the Against the Giants series, this module does not remake the entire series. Finding a NWN module like Against The Giants definitely brings back great memories of playing Dungeons and Dragons pen and paper modules. The sizable download (10 MB) also gave rise to my anticipation level. I was even more excited when I started the module and saw the original cover for the series. I thought "wow, I am actually going to recreate one of my favorite role playing experiences." However, that overwhelming nostalgia faded rather quickly when the module failed to capture the magic of the original almost immediately after the intro. Walking up to a guy to only boost your character up to level 10 may be needed because of the game's difficulty, but it kills the charm of the game rather fast when it is done so blatantly. Besides, that is what trainers are for. The sad thing is that nothing exciting happens after that to make you interested in what transpires with the giants. This module was infinitely better than the poorly done Steading of the Hill Giants, but it still lacked a real story. 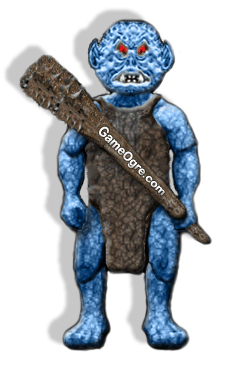 The gameplay degenerated very quickly into a mindless hack-and-slash affair against endless arrays of giants, ogres, and bugbears. That said, anybody attempting this module will either need a super strong melee character or they should try it with a few other people. So why 3 stars instead of 1 like Steading of the Hill Giants? You can actually spend some time in this module, you have substantially more areas to explore, you have more loot, and there is at least an attempt at a story. The download is also fairly sizable, so there was a significant amount of effort put into it. Simply put, gamers who are content with a shallow gaming experience may enjoy this, but gamers wanting more should look elsewhere. Hopefully, more skilled and experienced module makers will attempt to do a remake of Against The Giants in the future, so we can finally play some quality modules based on this vaunted series.